Once you have defined your Category names, they will appear in the Category dropdown menu on your Schedule pages. You can choose a category when adding new shifts or click any shift to edit and choose a category or you can set multiple shifts into a Category using the Multi-Shift Edit Schedule View. 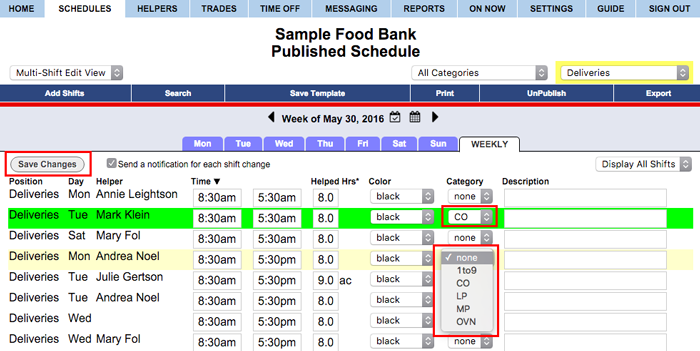 Note: Changing an existing shift to be in a Category DOES NOT change the times or any items set in the category defaults. Category defaults are only used when Adding New Shifts.